Watch Out Pandora, Spotify Just Introduced A Free, Streaming Radio Service In The U.S.
Music streaming service Spotify is rolling out a new feature for U.S. users today, which looks like a direct swipe at Pandora: it’s introducing a free mobile radio service. 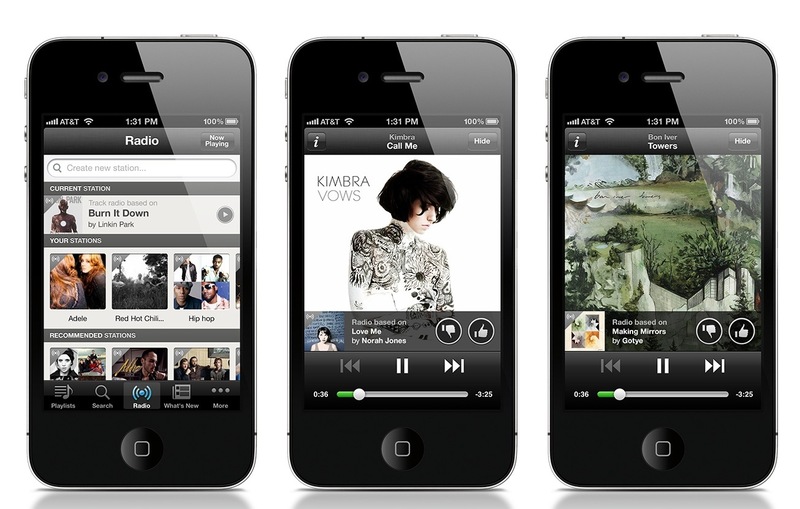 The update is only available in the iOS versions of the app at present (iPhone and iPad), but gives free users access to unlimited music from Spotify’s catalog of 16 million songs. The feature provides a different way to listen to Spotify, which before was very much about mirroring the iTunes-like experience via cloud-streamed music. You would locate songs you liked and organize them into playlists, for example, as opposed to the more passive “I’m just listening” feeling that radio music apps (like Pandora, Slacker Radio, etc.) offer. To be fair, Spotify isn’t the first music-on-demand service to do “radio” – in fact, it’s trailing some of its competition here, including not only Slacker (Premium) but also Spotify competitors Rhapsody, Rdio, and MOG. But Spotify is a top cloud-streaming service here in the U.S., so the change will have impact. The company says that you’ll now be able to create limitless streaming radio stations from single songs, playlists, albums or artists and you can create an unlimited number of these stations. You can also build stations off your friends’ shared playlists, which is a plus. Then, as you listen, tracks you like can be saved to your Spotify playlists so you can find the songs later on. And very much like Pandora, you can “like” tracks while they’re playing to hear similar music. Currently, free users will hear ads to support the radio feature, and Spotify has signed up some big brands, including McDonalds, Macy’s Chevrolet, Taco Bell, Red Bull, Verizon Wireless, Warner Bros., Durex, Heineken, Red Stag, Jim Beam and Lipton Iced Tea. Premium radio users will have an ad-free experience, however. In addition, premium subscribers outside the U.S. will also have the option to use the radio feature. Spotify now has 18 million users, including over 3 million paying subscribers worldwide, and over 10 million active users worldwide. It doesn’t break out U.S. numbers, though. The update is being released now, and will arrive on other platforms, including Android, soon.